Kyla attended undergrad at Loyola University Chicago. She graduated with a Bachelor of Arts in Political Science and a minor in Women & Gender Studies. Currently, she is an intern for the Michigan Attorney General’s Office in the Solicitor General Division, a member of the Geoffrey Fieger Trial Practice Institute, a member of the Moot Court Trial & Advocacy Board, and a teaching assistant for the Moot Court Competition Class. 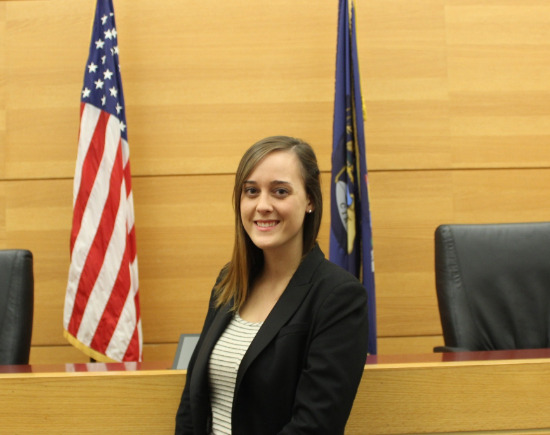 Kyla is interested in practicing criminal trial law and/or appellate law in Michigan. A fun fact of Kyla is that she has moved nine times in the past six years. If you are interested in contacting Kyla, please email her at barranco@msu.edu.